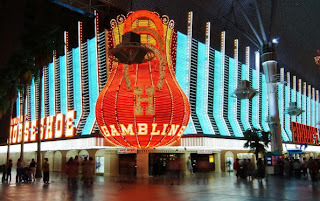 The TTABlog® reports on a precedential decision issued by the Trademark Trial and Appeal Board upholding a decision by the U.S. Patent and Trademark Office to refuse registration of two intent-to-use trademark applications filed by Jack Binion for the marks BINION’S and BINION for “casino and gaming services” and “hotel and bar services.” See In re Jack Binion, Serial Nos. 76590702 and 76590729 (T.T.A.B. December 23, 2009) (precedential). 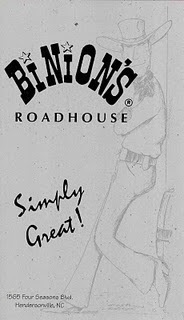 The PTO Examining Attorney cited two grounds for refusing the register the marks – likelihood of confusion over the existing registered mark BINION'S ROADHOUSE for “restaurant services” and that the mark was primarily merely a surname (for which Binion’s evidence of acquired distinctiveness was lacking). The fact that Binion already held registrations for the marks JACK BINION’S (both word mark and design mark) for “restaurant services” and JACK BINION design mark for “Casino, hotel, restaurant and bar services” did not carry any weight with the Board on the issue of likelihood of confusion since the applied-for marks did not contain the first name “Jack” and thus were more similar to the registered mark than his existing registrations. The fact that the registered mark was the name of a single restaurant in North Carolina also did little to persuade the Board – given the nationwide scope afforded registered trademarks. As for the surname refusal, the Board was unconvinced by the evidence put forward by Binion in an attempt to show that he warrants an exception to the surname refusal as a historical person. As for Binion’s claim of acquired distinctiveness, as noted above, the applications were filed based on intent to use. While a Section 2(f) claim of acquired distinctiveness can be made if the applicant’s use of the same mark in connection with other goods and services has made the mark distinctive of the goods or services in the intent-to-use applications and the acquired distinctiveness will transfer over to the goods and services in the intent-to-use application when use in commerce begins, the Board found that Binion’s existing registered marks for JACK BINION and JACK BINION'S were not the same. If Binion were inclined to appeal this decision, I think the case might be an excellent contender for an appeal by way of an independent district court civil action under 15 U.S.C. § 1071(b)(1) (rather than a traditional appeal to the Federal Circuit) in order to submit new evidence to overcome what might not have been enough evidence to convince the Board of acquired distinctiveness. And since such an action can be brought in the district where Binion resides (see 28 USC 1391(e)(3)), Binion could file the action in the District of Nevada. You think that might give Binion a home town advantage? Of course, there is still the little issue of the likelihood of confusion rejection – but that’s nothing that can’t be addressed with a consent and coexistence agreement with the owner of Binion’s Roadhouse (along with a little money). But there is one other not-so-obvious nuance that stands in the way of Binion getting a federal registration on his name in connection with “casino and gaming services” and “hotel and bar services.” The BINION'S casino pictured at the top of this post is not actually owned by Binion, but rather its owned by TLC Casino Enterprises, which acquired the hotel/casino property in January 2008 from MTR Gaming who had purchased the property from Harrah’s in 2004 after Harrah’s bought out Binion’s Horseshoe and its intellectual property, keeping the “Horseshoe” name and the “World Series of Poker.” (For reasons discussed below, it’s not clear if Harrah’s also sold the “Binion’s” name to MTR, which is what most reports state, or if Harrah’s still considers it part of its trademark portfolio and is licensing it.) A recent news story about the closing of the hotel at Binion’s provides some background. This link also provides some historical perspective. 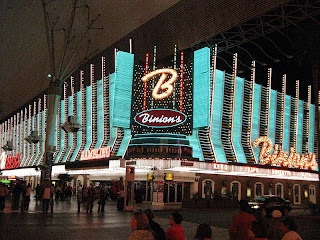 However, Binion’s intent-to-use applications were filed with the PTO on May 6, 2004. Four months later in early September 2004, a Harrah’s subsidiary filed two use-in-commerce trademark registration applications for the mark BINIONS’S (word mark and design mark) for both “Casino and gaming services” and “Hotel, restaurant and bar services” citing a first use date of June 1964 (a reference back to the opening date of Binion’s Horseshoe). Both of these applications are suspended pending the outcome of Binion’s two intent-to-use applications. Even if Binion were to have gotten his applications published for opposition, Harrah’s (or whatever entity currently owns the goodwill associated with the name Binion’s in connection with the downtown Las Vegas property formerly known as Binion’s Horseshoe) surely would have filed oppositions against Binion’s two applications based on its priority.